Thank you for joining me as we count down to the next MFT release. We are just three days away from the big day! All the new Stamps, Die-namics, and Stencils will be available on Tuesday, November 11th at 10:00pm EST. Be sure to check out the MFT Blog to see all the new items being revealed today. Don't forget to leave a comment on the MFT Blog. Countdown posts, YOU could win one of the seven $75.00 gift vouchers. I have a sweet Pure Innocence card to share with you today. The new Overflowing Joy stamp set is simply adorable. I paired this sweet image with the new Blueprints 20 Die-namics, the Swiss Dots Background, the Nordic Knits stamp set, and the Stitched Rounded Rectangle STAX Die-namics. So many new products all on the one card! 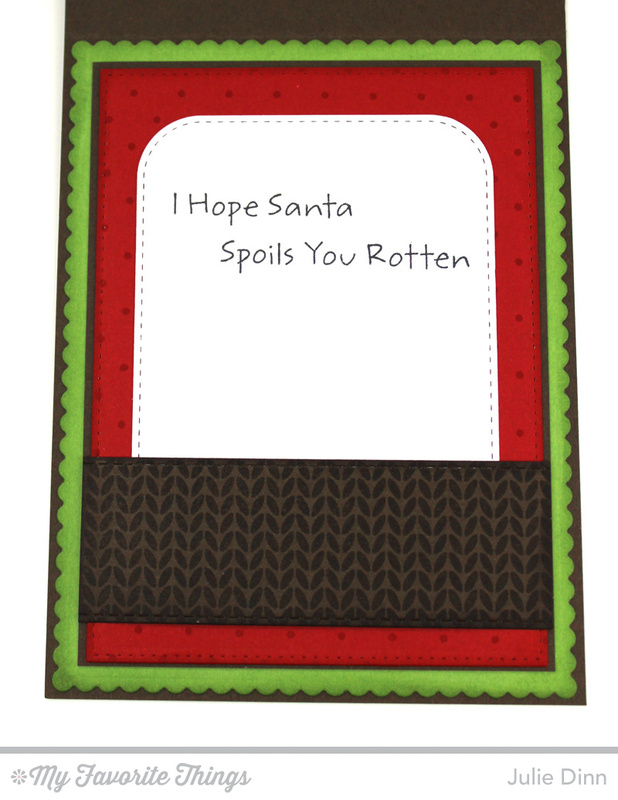 There are lots of yummy layers on this card. I paired the Blueprints 20 Die-namics with the Stitched Rounded Rectangle STAX Die-namics and the Stitched Horizontal Strips Die-namics. 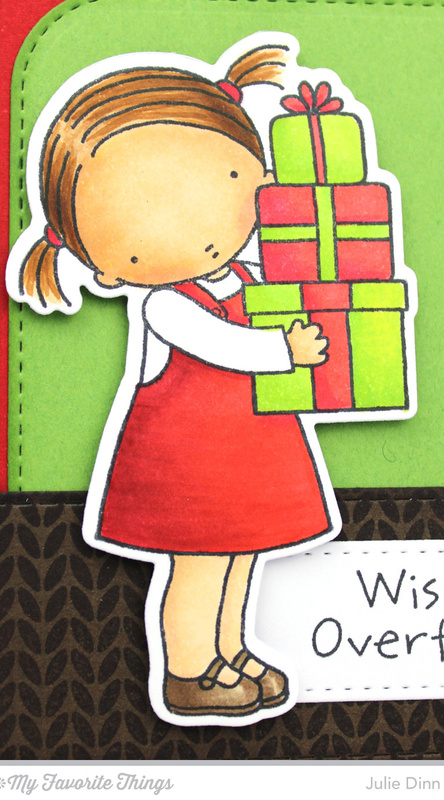 The sweet sentiments are from the Pure Innocence Overflowing Joy stamp set. Thank you so much for joining my again today. I'll be back again tomorrow with two new cards to share. LOVE. LOVE. LOVE!!! Awesome colors! Cute card!! I really love the effect from that die! That's adorable. Your coloring is beautiful, especially the color on her face, which is always difficult. It looks great! Such a cute Christmas card and such a wonderful design! Love the colors! What a sweet card! Great color combination and layout. Love the colors! This stamp is truly awesome.